Hundreds of protesters attend a rally at the Supreme Court in Washington, DC, on December 5, 2017, on the day of the hearing for the Masterpiece Cakeshop v. Colorado Civil Rights Commission. The US Supreme Court hears arguments in the "gay wedding cake" case. The case, which pits Christian conservatives against progressives and the LGBT community, concerns a Colorado baker who, due to his religious beliefs, refused to bake a wedding cake for a gay couple. For AFP Washington Bureau. 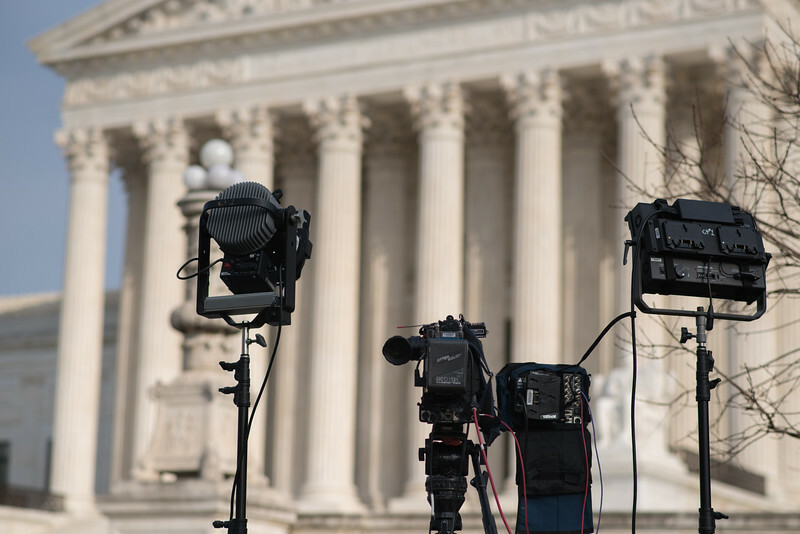 Reporters equipment is standing in front of the Supreme Court in Washington, DC, on December 4, 2017. Ready to shoot what will happen tomorrow morning around the hearing of the ‘landmark case’ Masterpiece Cakeshop v. Colorado Civil Rights Commission.